sistersmiley710 Saturday night of Resonance at Papadosio was the best night of my life, musically and spiritually. I love ya'll Soo much!!!!!!! I literally paid over $4000 just to see you at Red Rocks in 2017 because I got stuck in the worst hail storm in my vehicle. JackBrunner Guys I’m pulling a jb and just saying nothing. But omg improbability blotter just like that snap snap deeter datz 💫🤸‍♂️🕳🥶🕵️‍♂️👨‍🍳♾☎️😎#5jb and then we are water just man whoa! Ok I wasn’t going to say anything but really ok I’ll stop now lol 😆 Favorite track: Improbability Blotter. 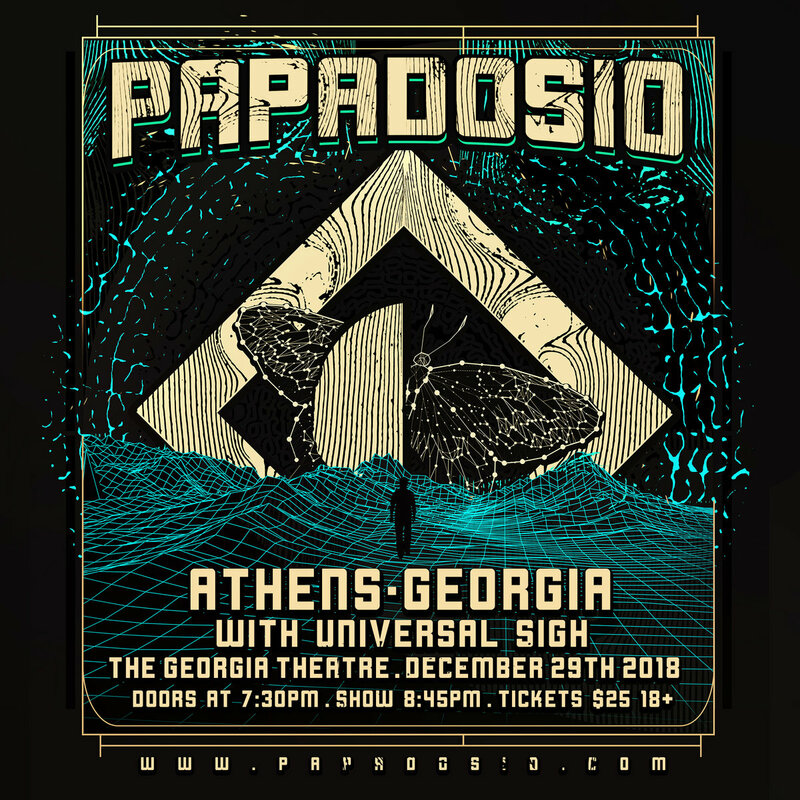 This album was recorded on December 29th, 2018 at the Georgia Theatre in Athens, GA. Thanks to everybody who came out and Thanks to Universal Sigh for opening the night up! See you in Athens again soon!